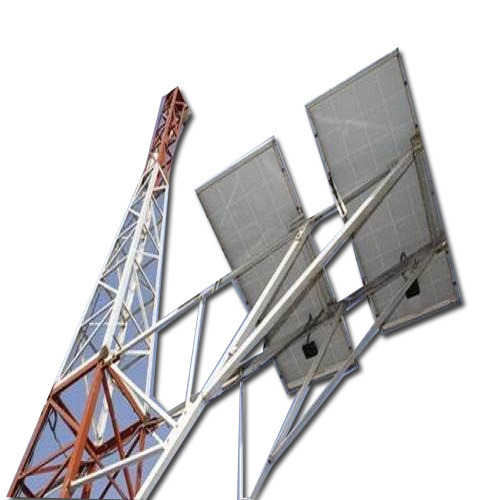 With the assistance of our talented team of professionals, we are providing a high quality range of Solar Telecom Tower. It may operate in regions with an unreliable grid or no grid supply while the others operate in regions with a stable grid supply but face high electricity costs. Established in the year 2013 at Delhi (Delhi, India), we “Sharda Enterprises” are a Sole Proprietorship Company and the prominent Manufacturer and Wholesale Trader of a supreme quality range of Aluminium Conductor, Air Termination Rod, Cable Lug, Disc Insulator, Pole Number Plate, Eye Hook, etc. Under the supervision of our Mentor “Geeta Devi (Proprietor)”, we have been able to maintain streamline business process.